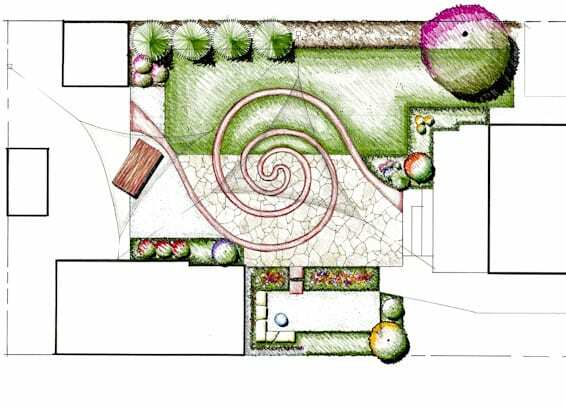 “We can often use the spiral form in design, both to create compact forms of otherwise spread-out placements and to guide water and wind flows to serve our purposes in landscape.” – Bill Mollison, Permaculture: A Practical Guide for a Sustainable Future. 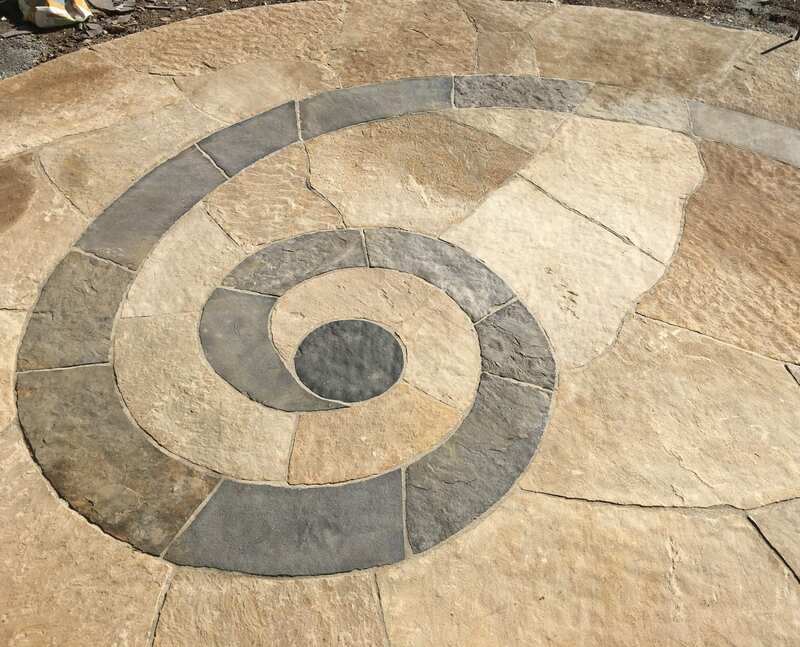 An herb spiral is one way to utilize this principle. 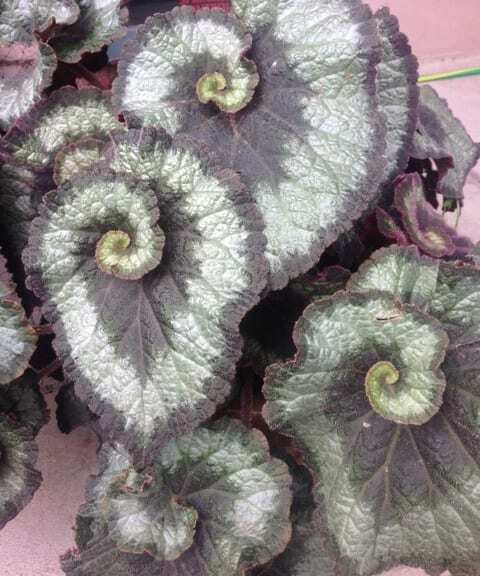 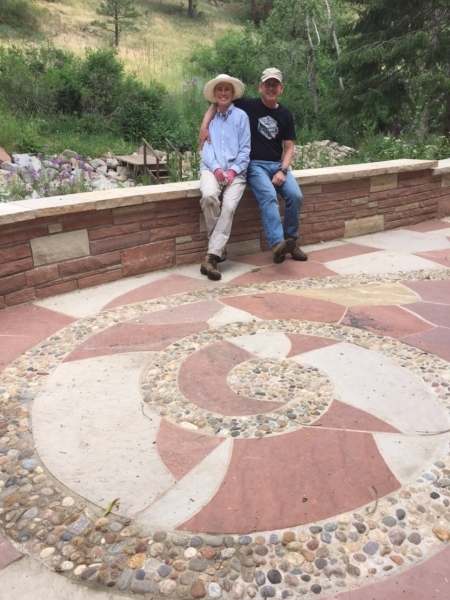 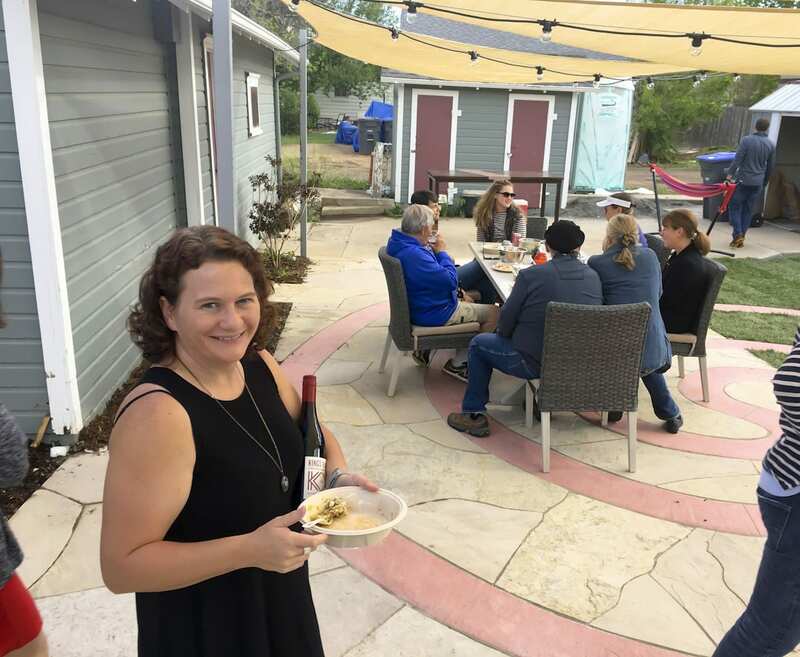 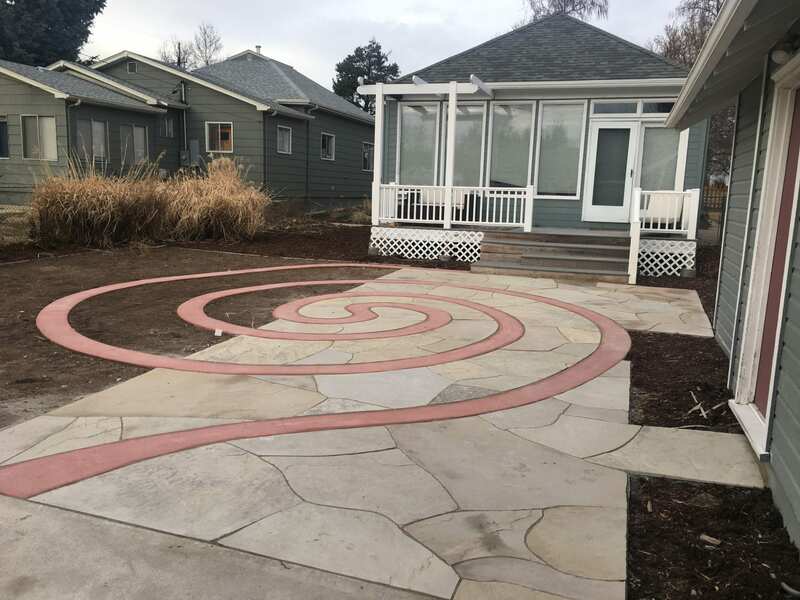 As a design inspiration, Ecoscape designers have incorporated spirals in both natural paver and poured concrete patios. 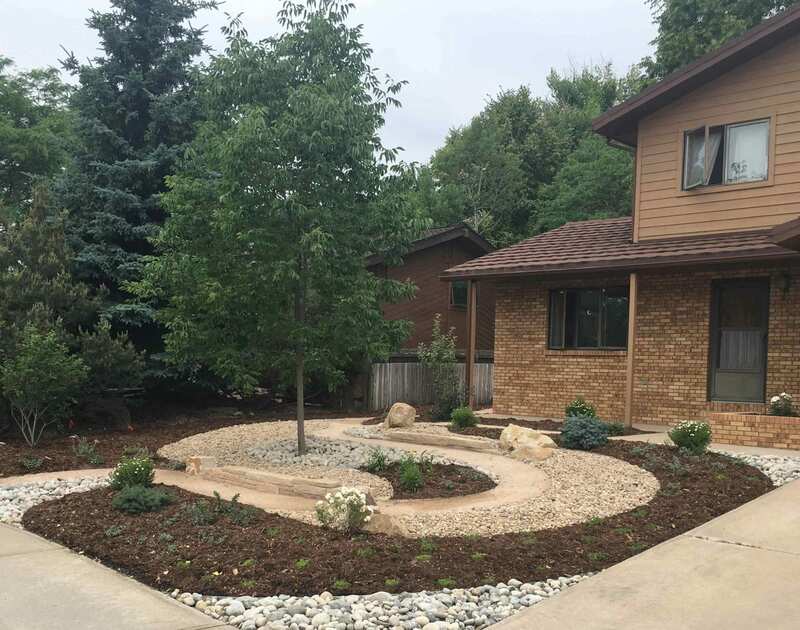 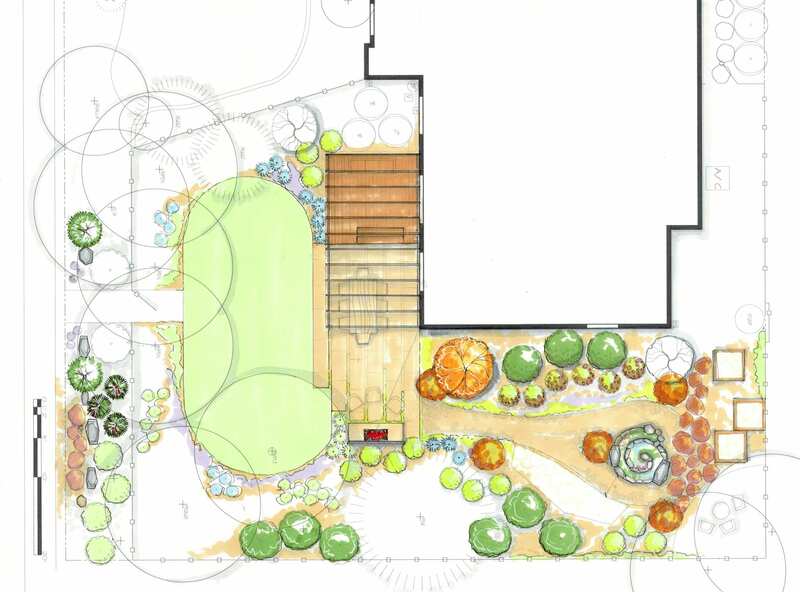 This project by Haswell Landscapes; Jim Haswell is now Ecoscape’s Senior Designer.